Today, we have released several new (and awesome!) 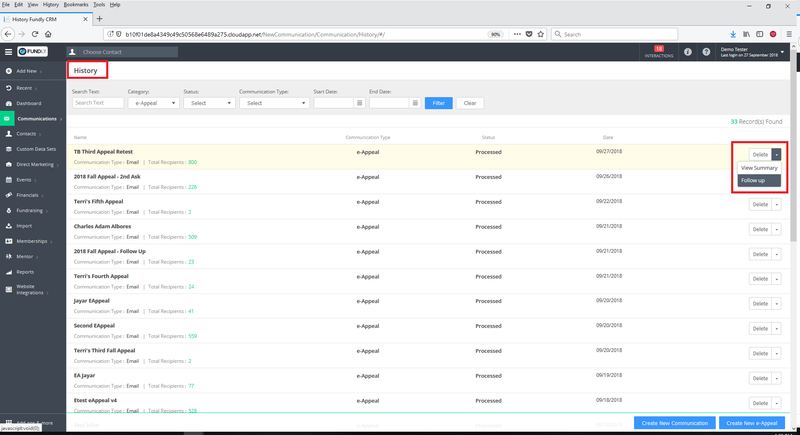 features for Fundly CRM v2 that we think you're going to really enjoy. 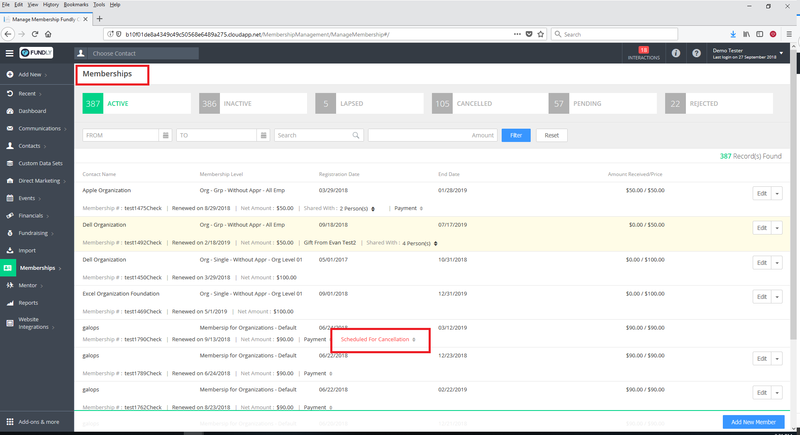 If you missed our sneak peek overview webinars last week that detailed all of the changes, you can find a recording in the support library here. 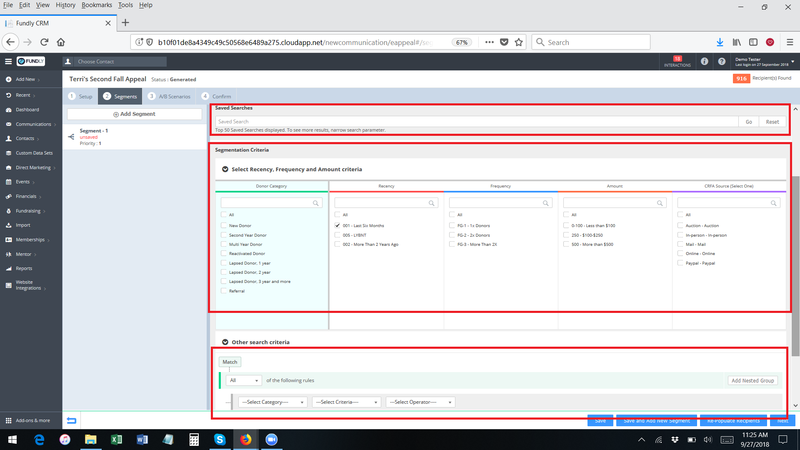 We'll be having several webinars this month to provide in-depth training on the new features and we have a full array of tutorials in the support library detailing the new changes. Read on for all the details! After you've checked out all the new features, drop us a line at support@fundly.com to let us know what you think! Please excuse us while we Kermit flail, but we're super excited to bring you e-Appeals, a powerful new tool for soliciting and receiving online donations. 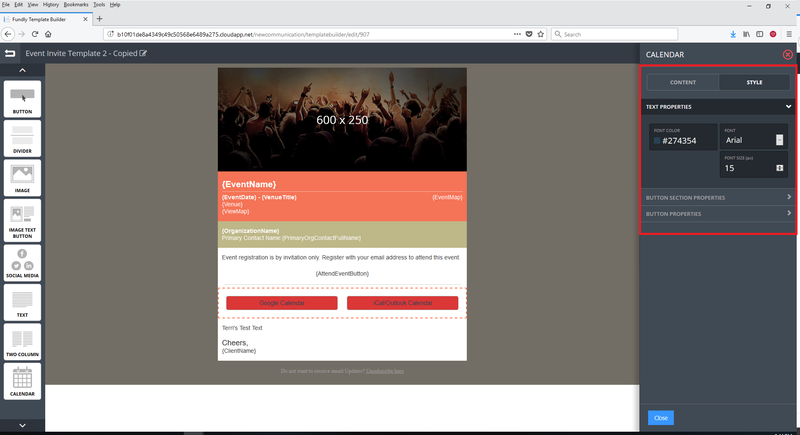 e-Appeals allows you to send a customized appeal letter to your donors via email with the ability to segment your donor list and to perform A/B testing. 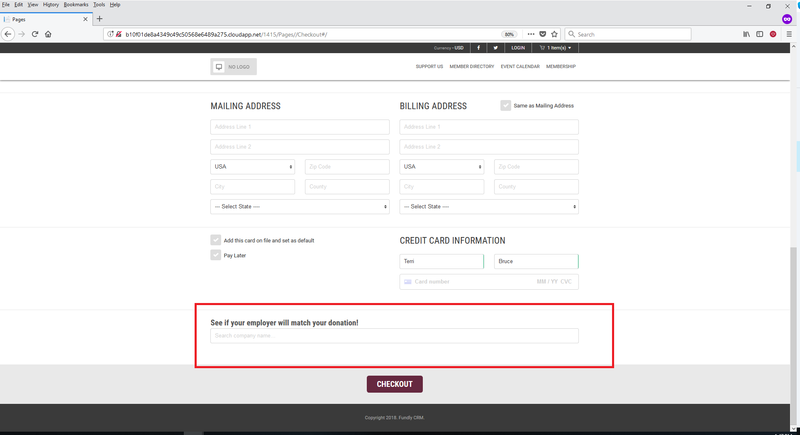 On the donor side, e-Appeals offers a streamlined, quick checkout way to make a donation online. 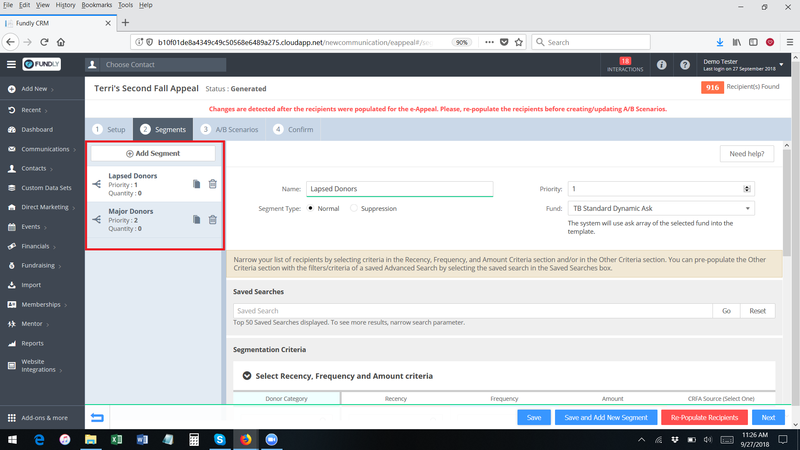 You'll find the new e-Appeals module on the Communications menu (in-progress drafts can be found on the Communications:Pending index screen and sent e-Appeals can be found on the Communications: History index page). 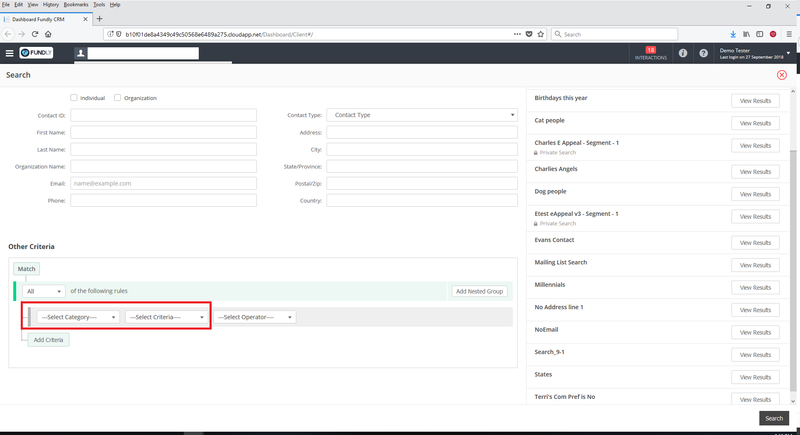 From inside the e-Appeals module, you have the option to segment your donors into various lists based on a Saved Search, Donor Categories, Recency, Frequency, and/or Amount groups, or a custom, "on the fly" advanced search. Each recipient list/segment can receive a set of customized ask amounts (including ask amounts dynamically created on the fly based on each donor's past giving history) and different, targeted content (including different email letter/template, sender name, subject line, and/or send date/time). 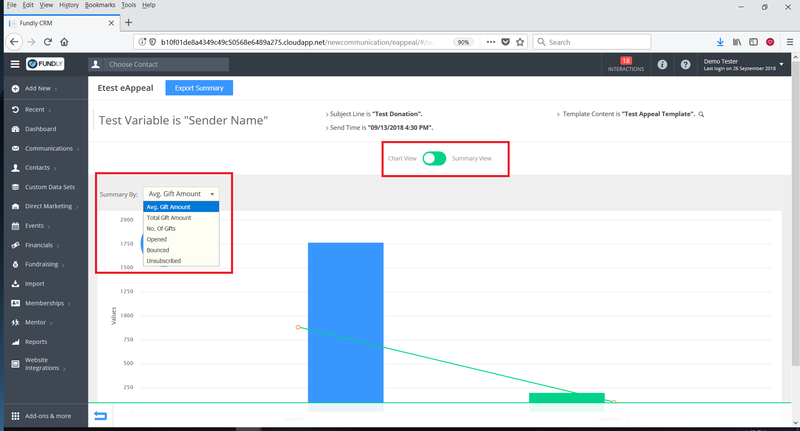 You can conduct A/B testing (test the response rate to various variables) for Sender Name, Send Time, Template/Email Content, and Subject Line. You can send follow-up appeals targeting those just those who didn't open, click, or respond to your previous appeal. And you can view a complete set of metrics on your sent/completed appeals (in both table and graph/chart views/layout!). 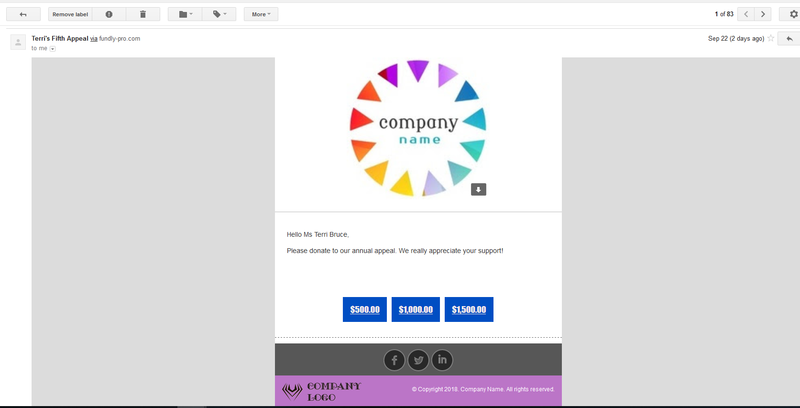 On the donor side, donors receive a mobile optimized e-mail. Making a donation is as easy as clicking the donation amount in the email. They'll be taken to a streamlined donation portal where they just need to confirm their credit card/payment information (if on file) or enter a new credit card. Making a donation has never been easier! We've added a full set of tutorials in the support library in the Appeals category. You'll notice a set of tutorials in that same section for "Direct Marketing," which is the print/hard copy version of e-Appeals (the Direct Marketing module is a paid add-on, but if you're interested in learning more, check out the tutorials on it. 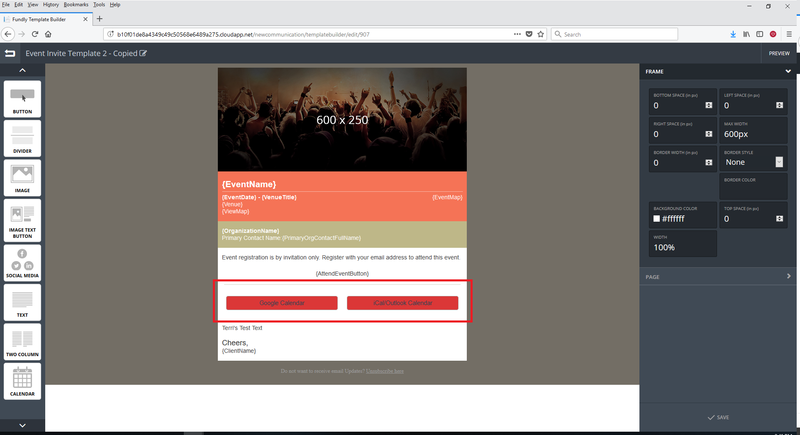 If you wish to activate the Direct Marketing/print appeals module, you can do so from Main Menu: Add Ons & More) (e-Appeals is a free/core module). We'll be holding a training session on using the new e-Appeals function on Tuesday, October 9th at 11:30 am PST. Register at Fundlyevent.com. We're thrilled to announce a partnership with 360MatchPro to allow integration of 360MatchPro accounts with Fundly CRM. 360MatchPro allows users to identify and track employer matching gifts. 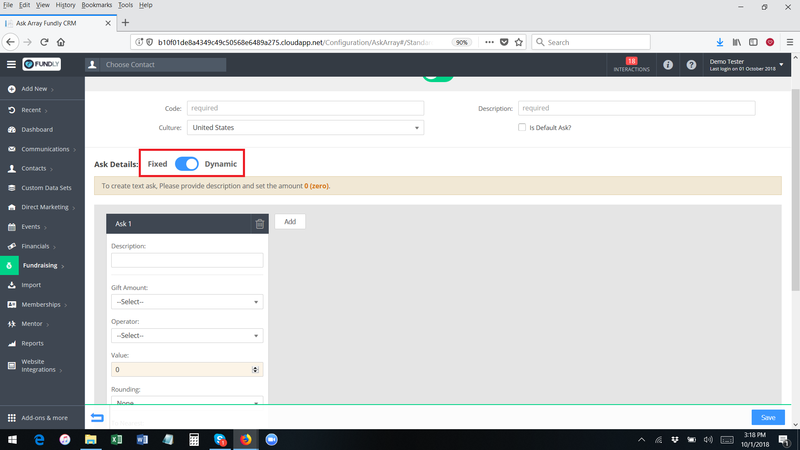 If you turn on the integration, all donations entered into Fundly CRM (directly by staff or that come in from your website) will be sent to the 360MatchPro system. From there, you can manage the process of identifying gifts eligible for employer matching gifts and requesting those match donations. 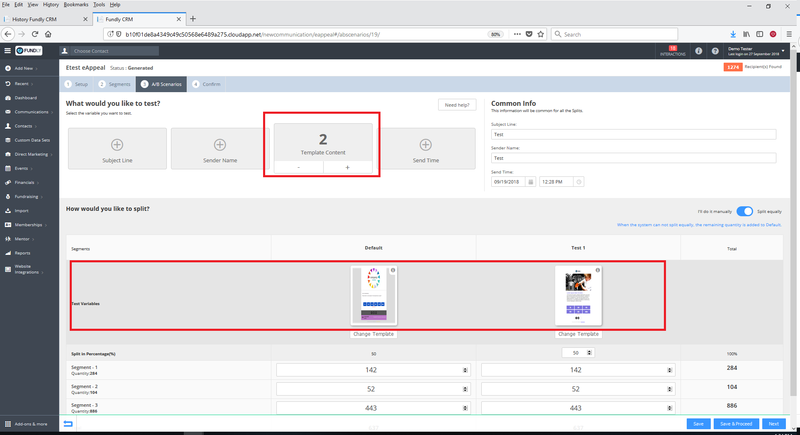 In addition, with the integration, you'll be able to see the status of employer matching gifts donations inside of Fundly CRM. 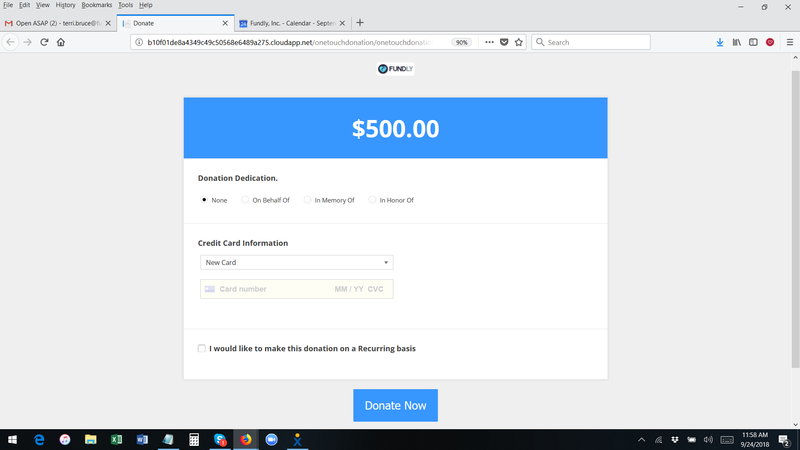 The 360MatchPro integration also includes a widget for your donation pages (for both Pages and WordPress plug-ins) that will encourage donors to provide information on their employer, making it even easier for you to discover hidden money you might be eligible for (the widget appears at the bottom of the checkout page when user is making a donation). The 360MatchPro sync depends on matching an individual's Work Information company/org to the organizations listed in 360MatchPro's database. 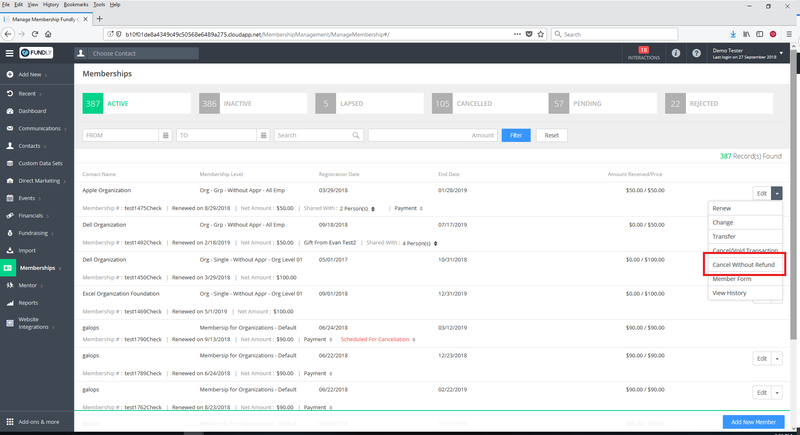 To that end, now, when adding a new organizational contact record to Fundly CRM, you will see a drop down list of suggested organizations. This list is coming from 360MatchPro (and will display, even if you don't have the 360MatchPro integration turned on). 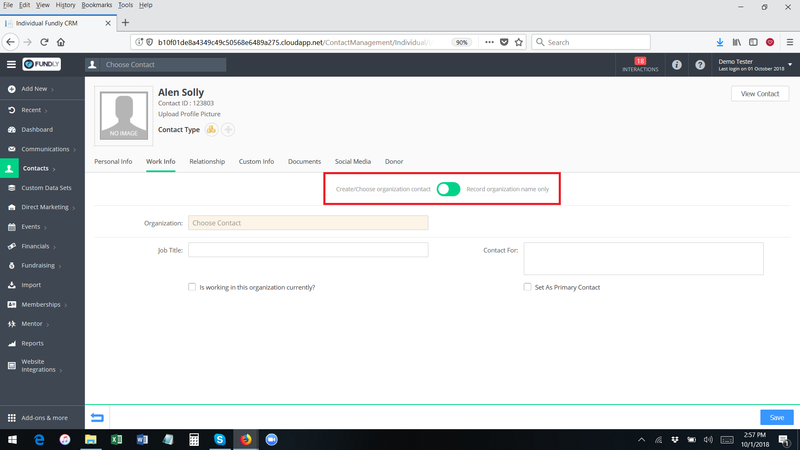 You do not have to select off the list; you can simply type the name of the organization and continuing adding the organizational record as usual. The 360MatchPro integration is free to set up, but 10% of the employer matched gifts received is charged by 360MatchPro as a service fee. For more information on the 360MatchPro integration, check out our tutorials in the support library in the Fundraising section (Part I - Activating the Integration and Part II - Managing Employer Matching Gifts). 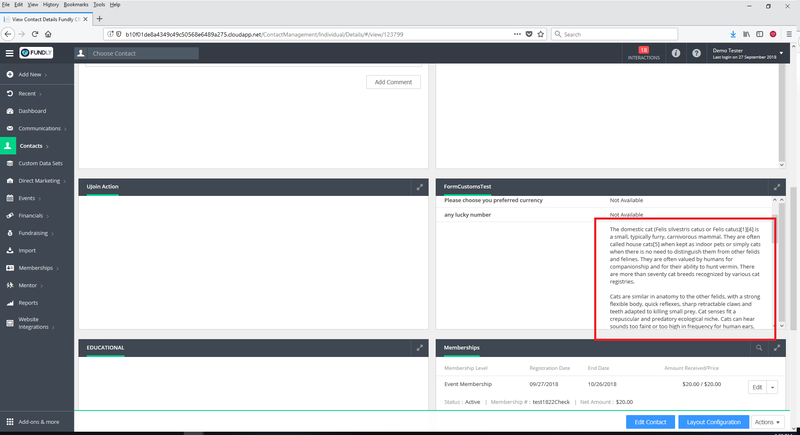 We'll be offering a training session on this new integration as well on Wednesday, October 10th at 11:00 am PST. Register at fundlyevent.com. As part of the changes we've made to Add Organization to pull in 360MatchPro approved organizations (and to make the Add Work Info screen more intuitive), we've changed the Work Info screen on Edit Individual Contact. 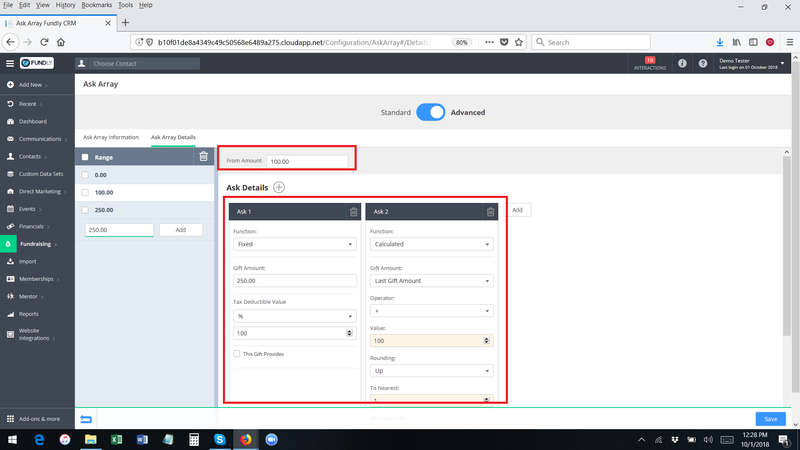 Now, when adding new work info to an individual's record, you will need to select if you are adding static data (not creating an organizational contact record) or working with an organizational contact record. 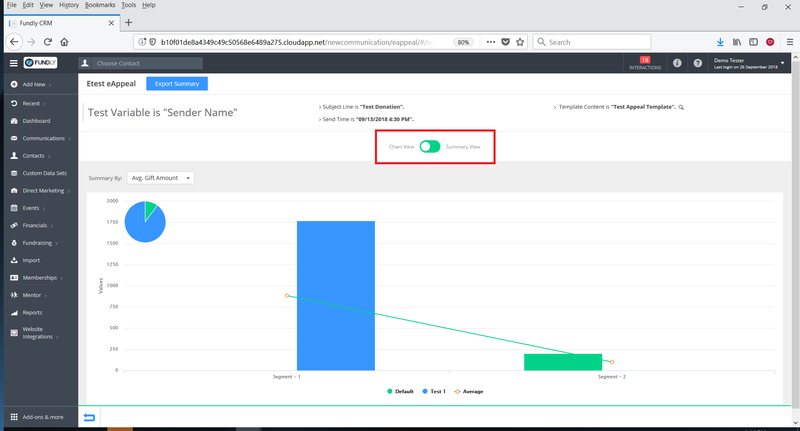 If you're selecting an existing organizational contact record, start typing the name to find the organization in your CRM and select it from the list. 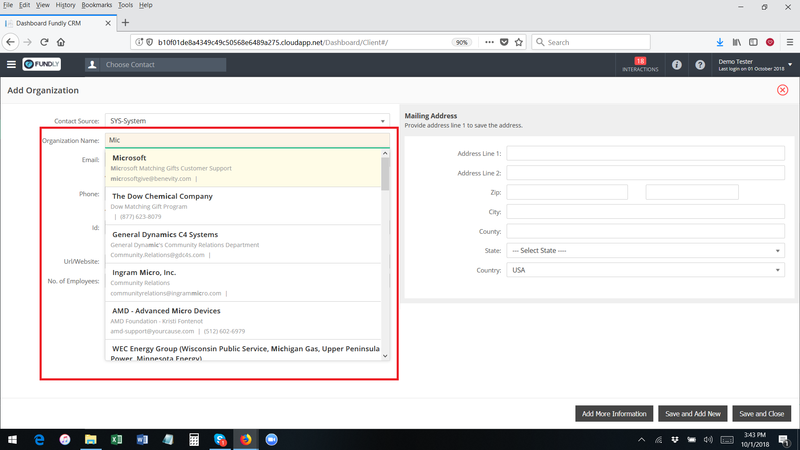 If you are creating a new organizational contact record, type the name and then hit Enter or Tab to bring up the Quick Add Add Organizational Contact pop up window. Fill in the details of the organization and click save. It will be added to your system and you can finish filling out the individual's work information. If just recording static work information (not creating a Fundly CRM organizational contact record), fill in the Organization Name and any other details that you have. 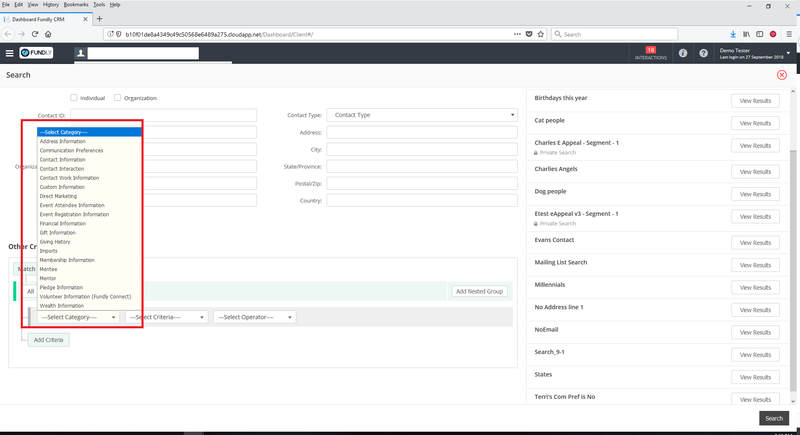 We've made some changes to the User Interface of Advanced Search to make it easier and more intuitive. 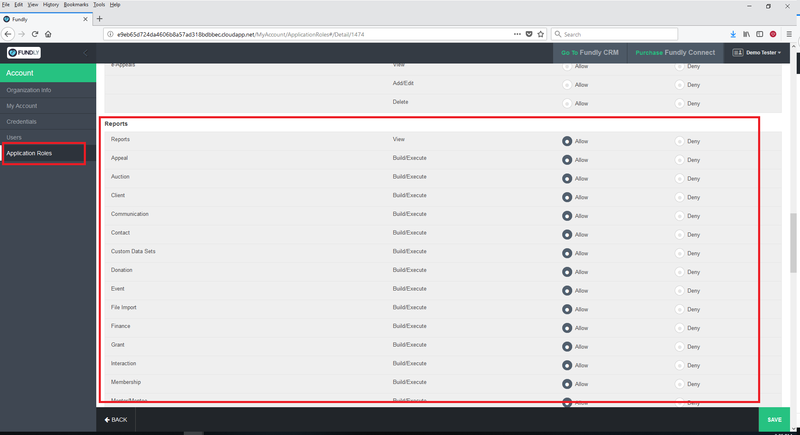 Currently, when selecting a field from the list in the Other Criteria section, you have to scroll (and scroll and scroll) through the list of all available fields. To reduce scroll time and make it easier to find things, we've split the field selection into two separate fields - category and field. Now, you will first select the category and this will restrict the second drop down to just fields in that category. This will make it quicker and easier to find things. 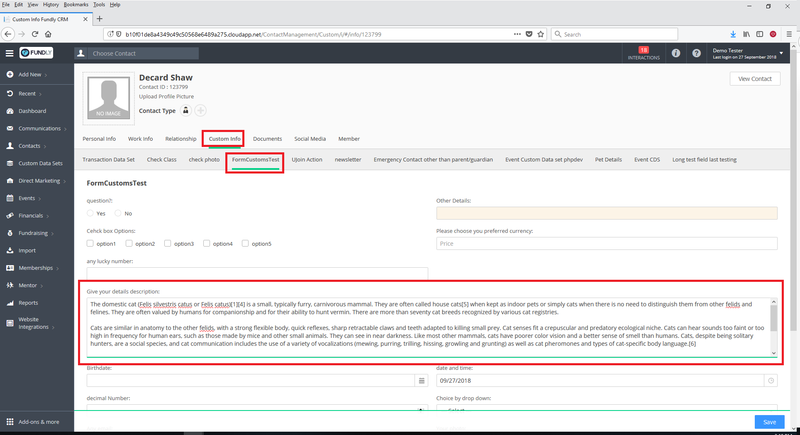 The filter and criteria fields still work the same as before (though we have changed the wording on a few items to make them clearer. "In" is now called "is one of"). We've also changed a couple of labels/buttons. Now instead of a + sign for adding rule groups, there is a button that says "Add Nested Group." And we've changed the + for adding a new rule/filter to a button labeled "Add Criteria." We believe these changes should streamline the user interface and make it easier to use Advanced Search. 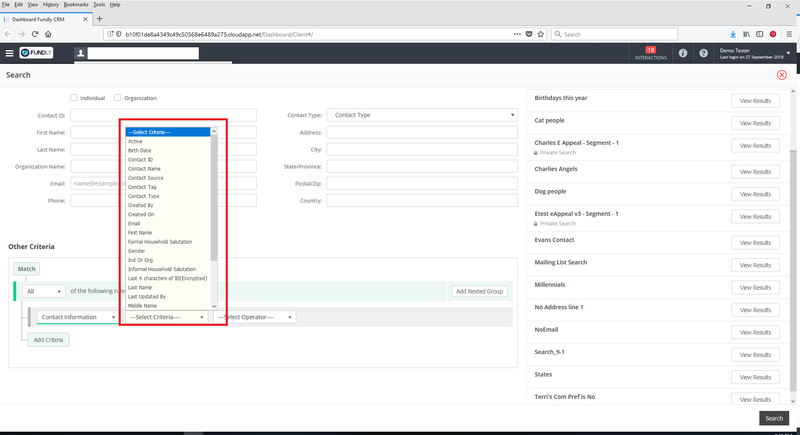 We've updated and expanded the Advanced Search tutorial in the support library with use cases and examples of how to structure various types of searches you might be attempting to create. You can see the tutorial in the Contacts section of the support library. 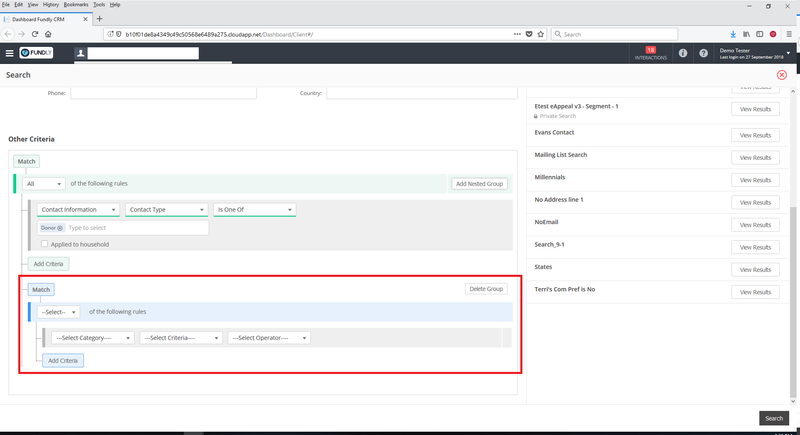 Ask Arrays are the ask amounts presented to your donors when they go online to donate, and they are the ask amounts shown on the Add Gift screen inside of Fundly CRM. They can be fixed (you set the ask amounts and all donors get asked for the same amount) or dynamic (ask amounts are calculated on the fly based on each donor's past giving history). We've updated and streamlined the User Interface for Ask Arrays to make them more intuitive and user friendly (Ask Arrays are required; you must have at least one configured in your system to record/receive donations). Now, when you create a new Ask Array (Main Menu: Fundraising: Configuration: Ask Arrays), you will have the option to create a Standard or Advanced ask array. Standard Arrays are more basic/simple and offer fewer configurations and options. 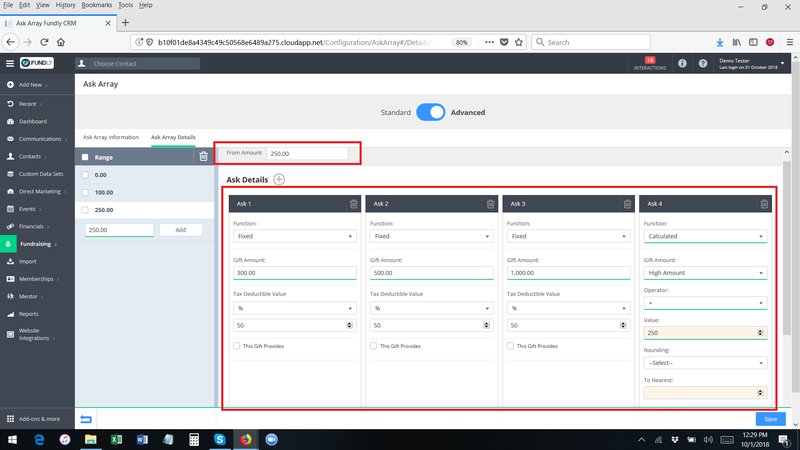 Standard arrays allow you to configure fixed and/or dynamic ask amounts, but all donors get presented with the same ask array/giving level options (rather than being able to segment your donors into different categories/"buckets"). 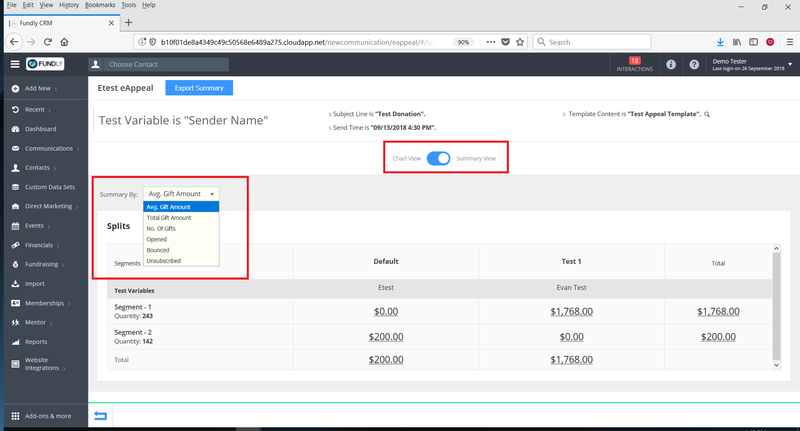 With an Advanced Ask Array, you can not only create fixed and dynamic asks, you can also segment your donors into different categories. So, for instance, you could present one set of ask amounts to donors who have previously given less than $100 and a completely different set of ask amounts for donors who have previously given $100-$249, and a third set of ask amounts for donors who have previously given more than $250. 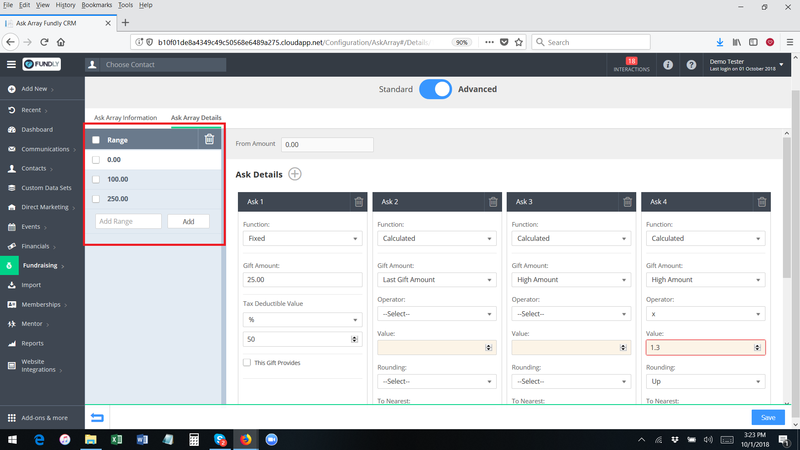 We have a full tutorial on ask arrays in the support library, and we'll be covering the new Ask Array user interface in our Managing Donor Relationships webinar on Tuesday, October 16th. 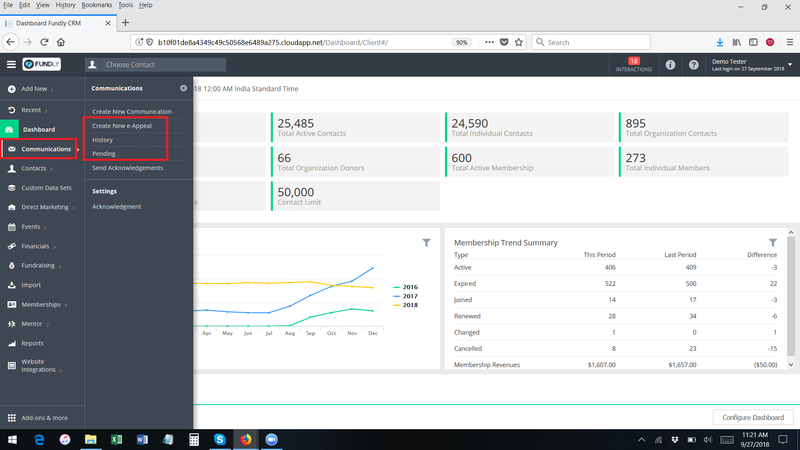 In June, we introduced the ability to cancel, void, and refund Memberships. With this release, we've added two tweaks/enhancements to the cancel and refund functions. The first is the ability to set a cancellation date in the future (this was not possible previously). If you cancel a membership and set the date in the future, the status will show as "Scheduled for Cancellation." While hovering over the status, you will see the details of the cancellation and also be given the option to Undo/cancel the cancellation. Once the cancellation date arrives, the system will process the cancellation as normal (including processing any refunds owed) and moved the membership to the Cancelled tab. Once the cancellation is processed, it cannot be undone. The second change is to add an option to cancel without issuing a refund. 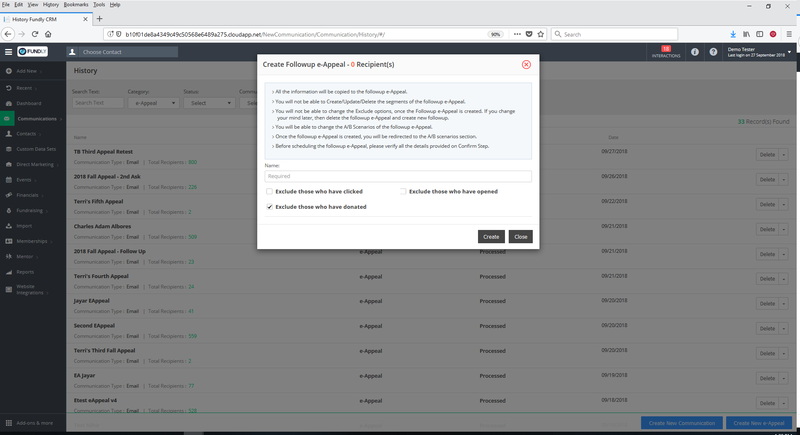 Now, from the Membership Index screen and from the Membership module/widget on View Contact, you will see an option to Cancel Without Refund. 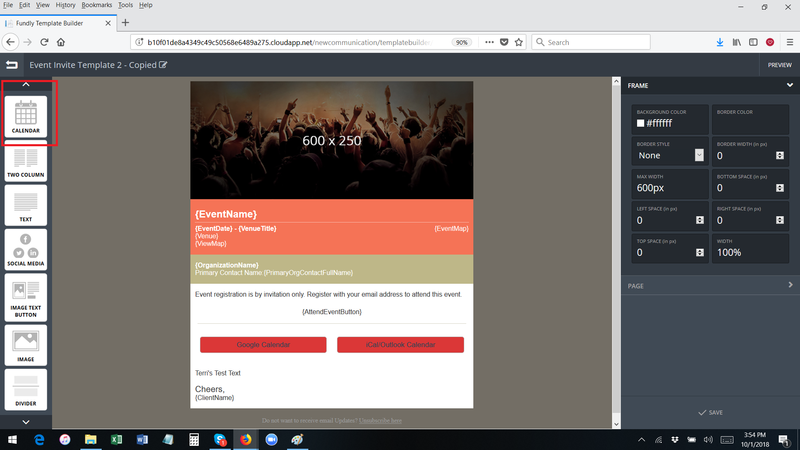 We know you're going to love this one (because you've been asking for it) - we've added a (add to) Calendar widget for Event Invites and Event Notification templates. You'll find the widget on the widget list (on the left) inside of create/edit template. Add the widget to your template as you would any widget and voila! Two buttons - one for adding to Google calendar and one for adding to iCalendar or Outlook - will be added to your template. You can configure the look of the buttons/section (including background color, button color, button text, button text color, etc. ), but no other configurations are required/necessary beyond adding the widget to the template. We've added categorical/sub-category permissions for reporting. Previously, user permissions for reporting were "all or none." We've now added drill-down level permissions so that permissions to the various topical categories (donations, memberships, events, contact, etc.) in reports can be granted or denied individually. We've added the ability to use a saved search in Donor Search (yippee!). Previously, you had the option to search only for all contacts or just contacts added to your database since the last time you ran a search. Now, you can fine tune your search by searching for contacts pulled up in a Saved Search. 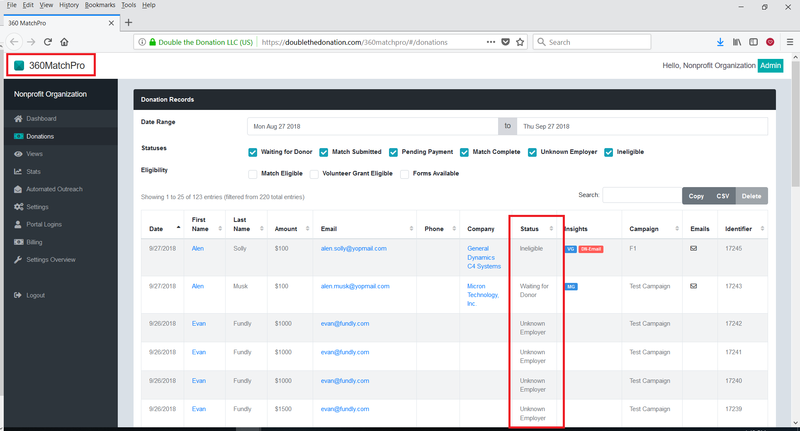 If you're not familiar with Donor Search, we encourage you to check out the tutorials in the Integrations section of our support library about this powerful fundraising and donor prospecting tool. We'll be covering Donor Search in our "Managing Donor Relationships" webinar on October 16th at 11:30 am PST. Register for the webinar at fundlyevent.com. We've made some changes to the checkout flow in Pages to make it more intuitive and to mirror the flow in our Word Press Plug-Ins. 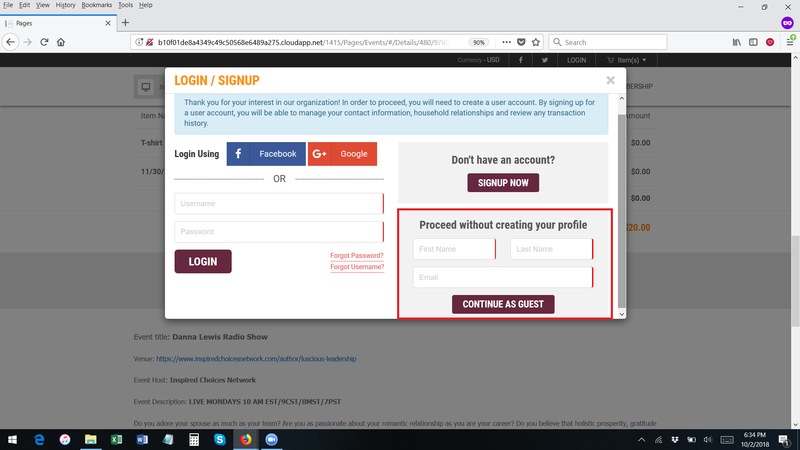 Previously, when users are checking out (while not logged in), when registering for an event or signing up for a membership, the user is asked for attendee/member information (the registration/membership form) and then for registrant information. This flow was a big confusing (generally, attendee/member data is collected after registrant information), especially since it appeared they were being asked to provide their name and some similar information (such as mailing address) twice. Now, when users guest check out, after selecting an item and moving to checkout, the guest check out box will pop up. 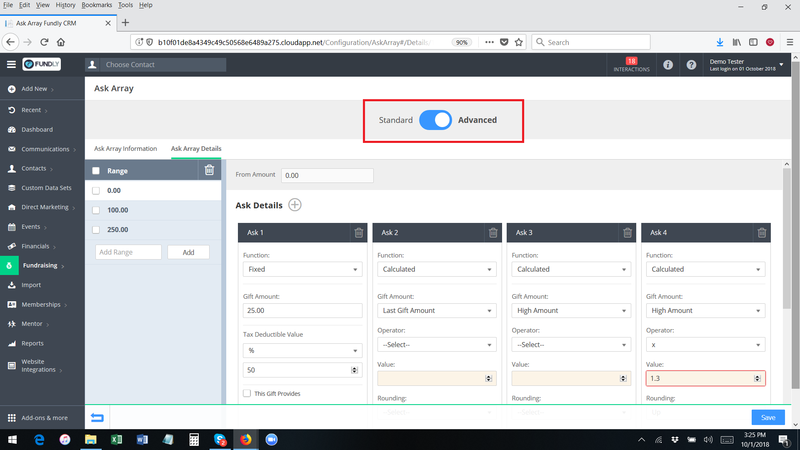 To proceed with guest check out, the user will enter their name and email address (previously, the button just said proceed as guest without collecting name and email address). 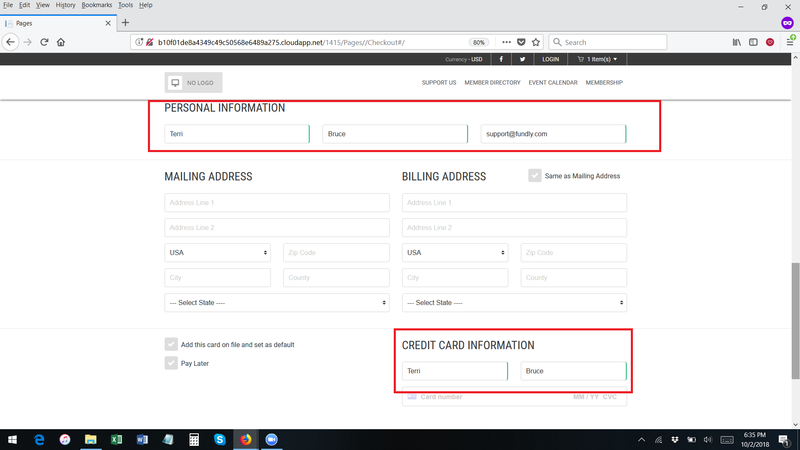 The name and email address collected here is the registrant information and will pre-populate the Name and Email fields in the personal information section of the check out page and also the name fields on the credit card field as well. These changes apply to all online transactions - memberships, donations, and event registrations. These flow changes should make the check out process a bit more intuitive and streamlined for your users. 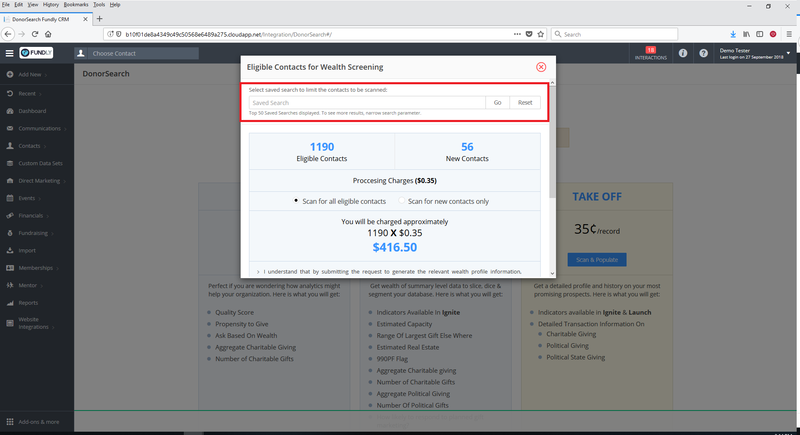 We encourage all clients using pages to go through the new flow/check out process themselves to familiarize themselves with the changes. This is a minor change, but we want to note it since it's a change to the user interface. We've changed the long text field in Custom Data Sets to display more lines (previously only 3 lines of text displayed, the same as the short text field). Now, wherever you have a long-text custom data set field displayed, you'll see more of the text/the box will take up more space.